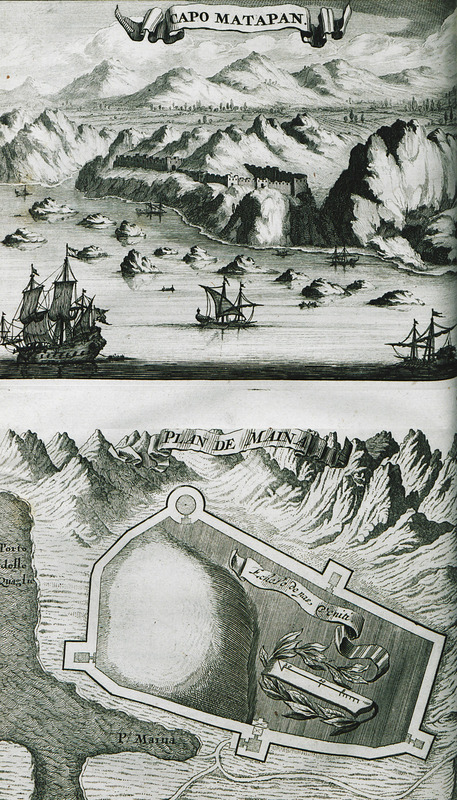 View of the settlement of Kastro in Porto Kagio, with the medieval walls. 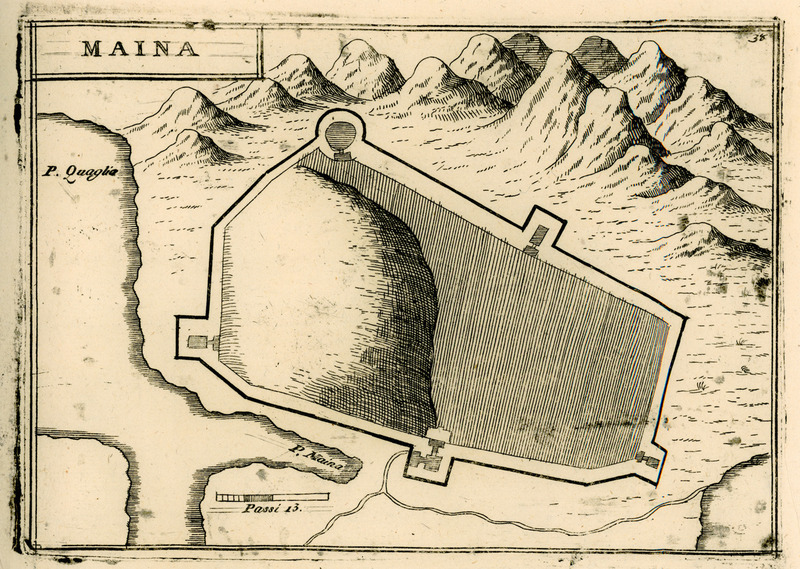 Cape Matapan. 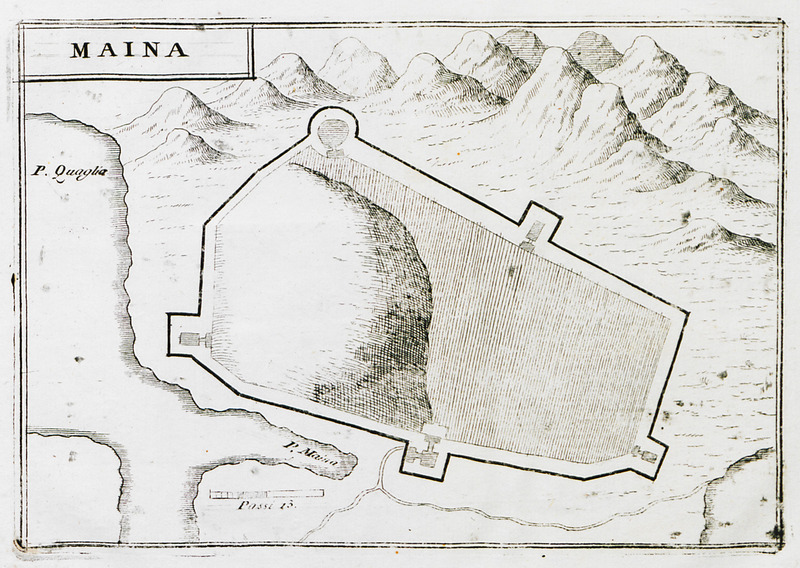 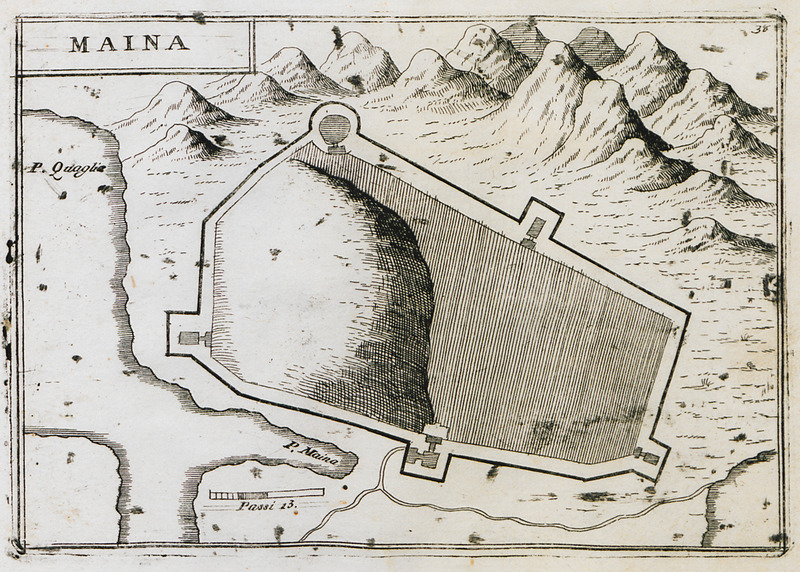 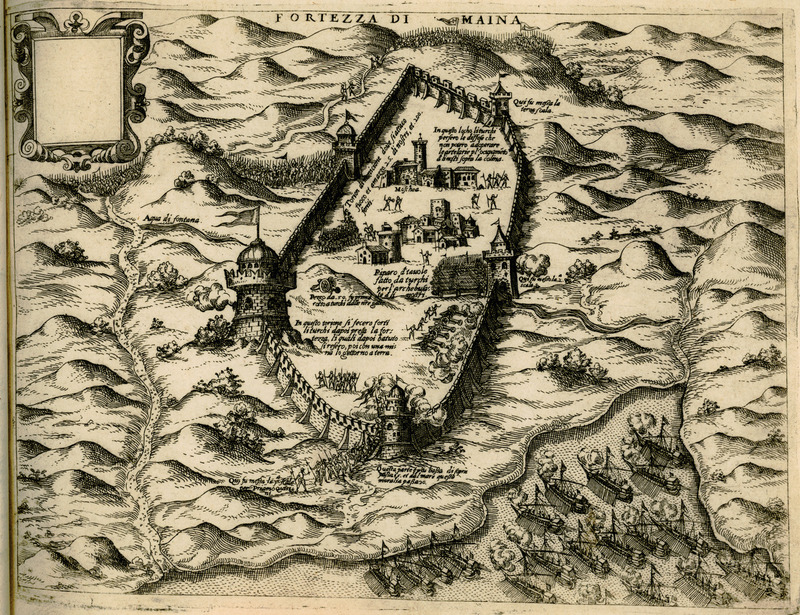 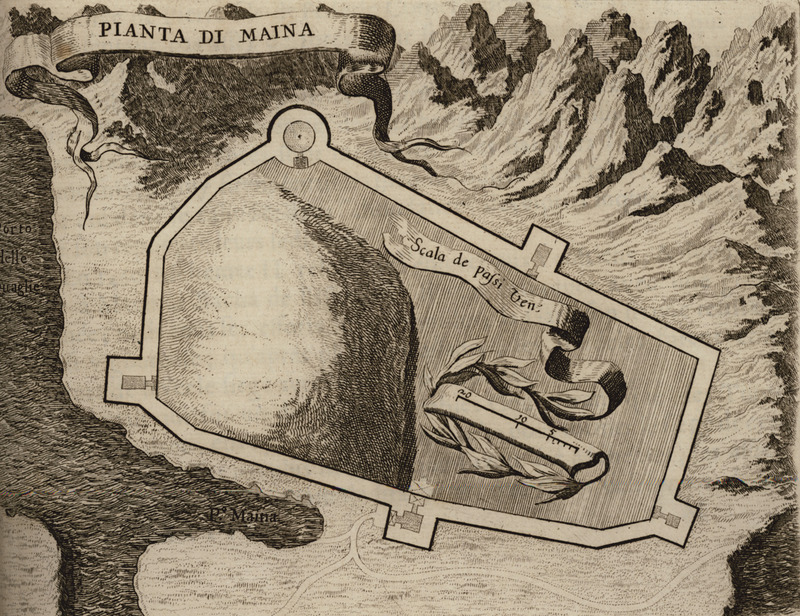 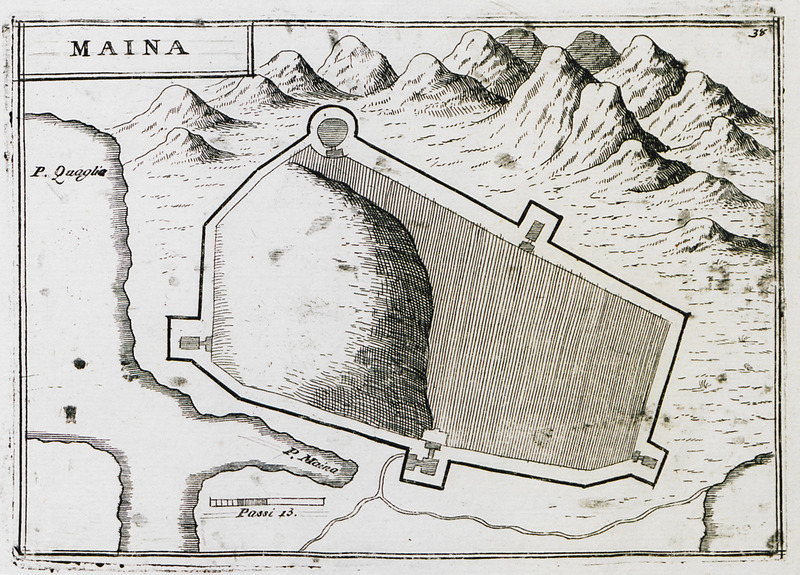 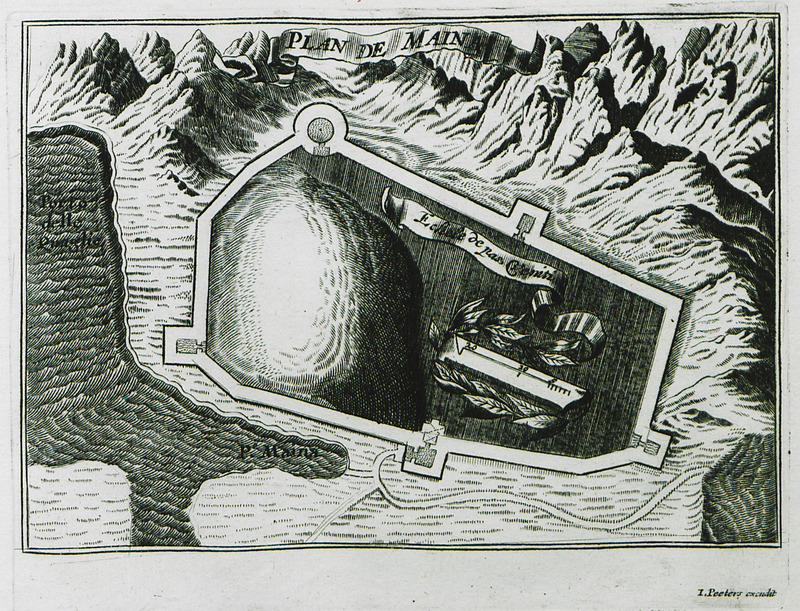 Plan of the Castle of Maini.